Soundgarden guitarist Kim Thayil is sharing an update on the follow-up to 2012’s “King Animal”, ahead of the group’s spring tour of North America. 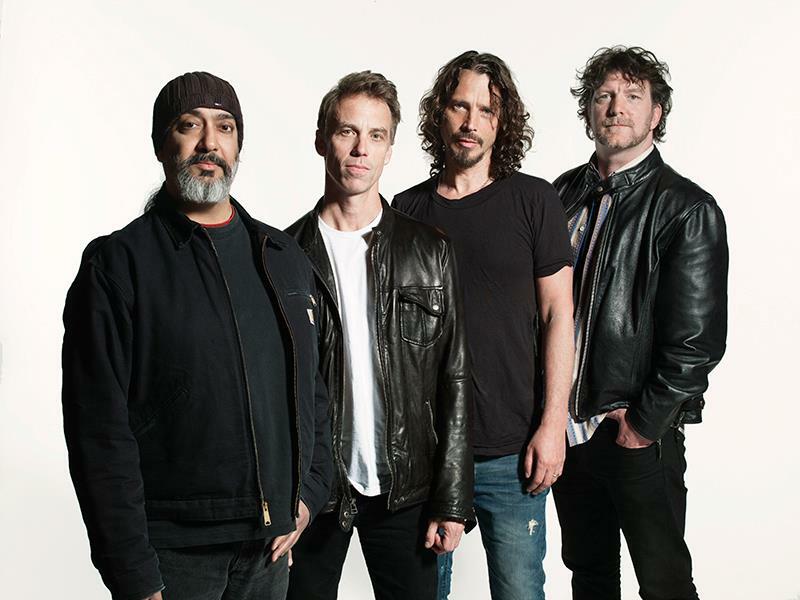 The band have been working on the project over the past year while juggling the release of expanded reissues of 1991’s “Badmotorfinger” and their 1988 debut, “Ultramega OK”, solo dates by Chris Cornell, and his and drummer Matt Cameron’s involvement with the reunited supergroup Temple Of The Dog. "There are some songs that have been demoed,” Thayil tells 93.3 WMMR Philadelphia. “I think Matt's demoed some things completely he's recorded on his computer. Chris has demoed a few things. He's written lyrics for ideas that I've written and that Ben (Shepherd) and Matt have written. “So there's some things that have been documented in rehearsal, there's some things that are still in the developmental stage, ideas we have jammed on that we're working out arrangements for. Every different stage within the process of songwriting is being addressed at this point." The album project will temporarily return to the shelf for the next few months as Soundgarden hit the road across North America. Following three festival appearances in Florida at the end of this month, the band will begin their headlining run at the Fox Theatre in Atlanta, GA on May 3; they’ll be joined by The Pretty Reckless and The Dillinger Escape Plan on select dates.